The year is 2046. 30 years from now. The Crumbling Blocks Royal Commission has just completed and released it’t preliminary report. For those who are not aware of the Crumbling Blocks Royal Commission it was set up to investigate the massive problems currently showing up in blocks of apartments built between 2010 and 2020. Most are in a state of structural failure. Owners have lost millions and many have given up on trying to fix the problems. The faults range from structural failure of the buildings to electrical, plumbing and just about anything involved with maintaining the apartments. To add to the issues, transport, roads, services and even Internet is regularly failing. This is in spite of the NBN nearing completion. The available infrastructure just cannot support the density of units created in the second decade of the century. In the spirit of government, someone must be blamed, hence the Royal Commission. The purpose of the RC was to find out how it happened, who to sue, and how to avoid it happening again. Planning. Most planning was undertaken by councils who were ill equipped to address things like water and sewage, or public transport infrastructure. 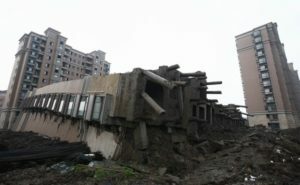 They did not have the authority nor the expertise to provide services to the apartment blocks. Their focus was on the trivial rather than the important. They would spend months considering door size rather than road size. In addition, there was a strong influence in many councils from the developer lobby. Developers had a significant influence on deciding what was built and where it was built. At the State and Federal level there was a head in the sand attitude and little coordination with Councils. Since neither tier of government had anything like the funds required to provide the infrastructure, they simply ignored it. The only tool they used was limiting land release which minimised the infrastructure required, but drove up prices. Developers. Developers during the decade were rewarded for short term thinking rather than long term as we have today. There was no requirement, as there is today, for the developer to own and maintain over 50% of the units for at least 15 years. This new law ensures developers build units of a higher quality out of purely self interest. The developer does not want to be fixing things for 15 years, or to have a crumbling block at the end of that time. There was no “Apartment Quality Authority” as we have now. The Apartment Quality Authority provide project managers to all new apartment builds. They have authority to overrule the developers when quality is in danger of being compromised. They also provide a detailed report to potential purchasers of the structural and engineering quality of the building. Builders. During the decade apartment construction boomed and there were just not enough skilled tradesmen to go around. As we all know, you now have to be fully trained to work on a building, and can easily loose your license for any shoddy work. Multiple breaches can result in a trip to the re-education facility on Manus Island. The number of buildings undertaken today is determined by the number of skilled tradesmen available rather than the amount of money to be made. Foreign Investors. During the period being reviewed. there was substantial “off the plan” sales made to overseas buyers. Many overseas buyers never saw what they bought and just sat on the asset or received the rental return. That all stopped in 2030. Now overseas investors cannot buy property directly. They can invest in companies that build apartment blocks, but not own them. This has released many units for purchase by Australian buyers. Some buyers were previously renters and have been financed by Superannuation funds to purchase the unit they rented. Australian Investors. The taxation system in that decade included negative gearing and favourable capitol gains tax treatment. This provided tax relief to investors and drove up prices. Since both were removed, we have seen house prices grow below inflation levels, and nobody today would purchase a house expecting to make a capitol gain. House prices have returned to the levels of the 1950’s and 60’s in terms of multiples of annual salary. Subsequent Impacts. First home buyers who wanted a home to live were virtually driven out of the market by 2020. This caused the government of Prime Minister Plibersek to make massive changes to home ownership laws after the First Home Buyers Royal Commission. Unfortunately the RC did not have the scope to investigate the poor quality buildings we are now investigating. So who was to blame? The governments of the day drove up the price of housing through tax arrangements, limiting land releases and inability to create infrastructure to support the units. The developers were only interested in building and selling as quickly as possible – preferably before it was built. The councils were out of their depth, and open to, if not corruption, undue influence. The builders were in many cases inexperienced, and getting work by doing the cheapest possible job. Investment was driven by greed. The banks loaned money that in some cases was beyond the capacity of marginal borrowers to be repaid when rates increased. There was not enough tax being collected to build the necessary infrastructure. In short, everyone living in the second decade of this century seems to have contributed to the problems we have today.